Officially called the Republic of Costa Rica, it is counted among the oldest democracies in the world. Dental tourism in Costa Rica accounts for a large part of its tourism earnings each year. Often visited by medical tourists from the nearby US and Canada, it is one of the most popular dental tourism destinations in Central America. With its government’s recent efforts to become the world’s first carbon neutral country, Costa Rica was ranked 3rd in the world in the 2010 Environmental Performance Index (EPI), next only to Iceland and Switzerland. Its natural beauty, with white sand beaches, awe-inspiring peaks, and abundant natural resources, draws millions of tourists from around the world each year. What Drives Dental Tourism in Costa Rica? Low costs – The main reason why people consider going out of their countries to get dental services in this country is the low prices for dental procedures. Dental tourists can save 50-70% of their cost for dental implants in Costa Rica. Highly-qualified dental experts – Dentists involved in medical tourism in Costa Ricaare used to deal with medical tourists. Most have trained in the US or Canada, and the quality of work is not sacrificed with the lower dental prices in Costa Rica. Hi-tech equipment and facilities – Being a country that prides itself on excellent healthcare and dental services, Costa Rica dental clinics are equipped with state-of-the-art devices to ensure the accuracy and quality of their work. Glowing recommendations from previous patients – The internet has caused information to flow more freely and quickly than ever before, and word of mouth about the excellent dental services in Costa Rica has spread like wildfire. Because of this, people who were formerly uncomfortable with the idea of getting medical and dental procedures outside of their home countries are now considering the fact that it may not be as bad as they thought after all. Holiday Destinations – There is an endless list of tourist spots in Costa Rica, catering to every whim of a medical tourist: the islands, beaches, lakes, volcano peaks, the flora and fauna are just plain fabulous. English speaking staff – While most people in the streets may speak only Spanish, many dental surgeons and their staff are often used to dealing with international patients and are fluent in English. Prepare for a dental trip by looking up for dental clinics in Costa Rica and qualifications of professionals you will be working with. 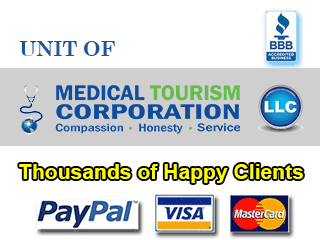 Working with a reputable medical tourism agency has its advantages, as they can connect you to their network of international hospitals and clinics and the best dental surgeons in the country. Openly discuss with both parties any concerns and plans you have so they can help you plan the trip accordingly. Dental tourism in Costa Rica is one of the best in the world, and many go back for subsequent visits after being impressed with what they have to offer.